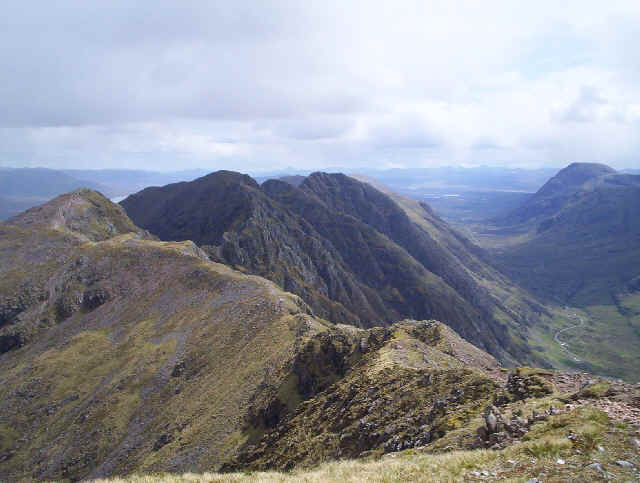 Most accounts I've read of climbing this hill link it with the fearsome Aonach Eagach ridge walk. 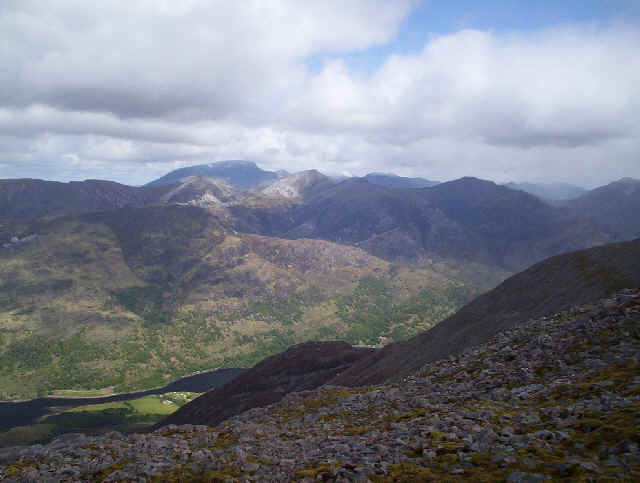 However, I'm not "into" terrifying myself so when Fran and I climbed Sgorr nam Fiannaidh we contented ourselves with the less challenging ascent form Glencoe village. 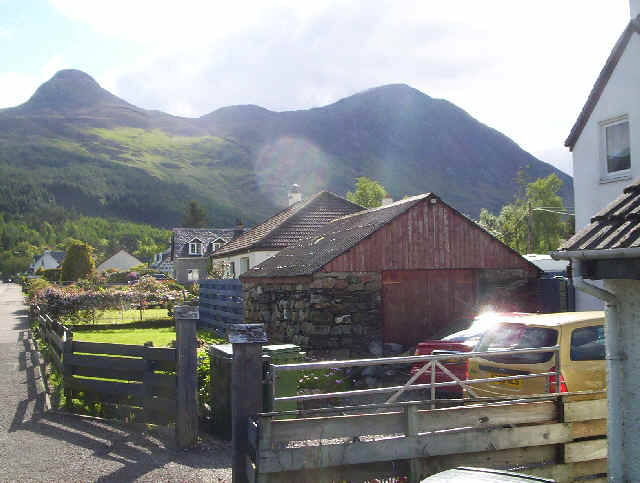 Leaving the village the Pap of Glencoe (Sgorr na Ciche) can be seen to the left and Sgorr nam Fiannaidh to the right. After a short walk along the minor road that leads to the Cluanie Inn the route to both hills takes to the hillside. 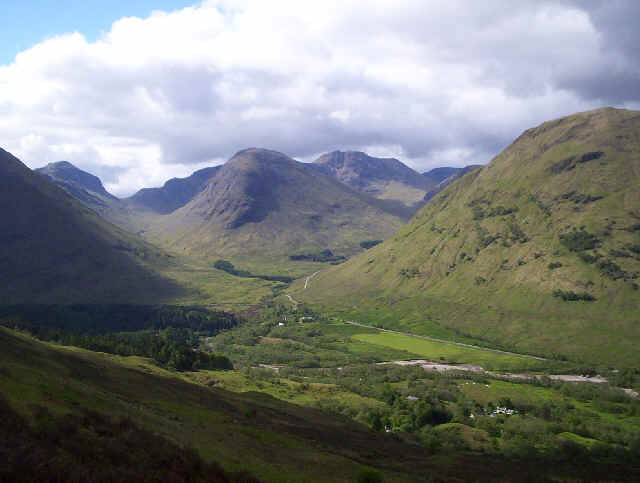 The photo above shows the western end of Glen Coe with Bidean nam Bian prominent in the centre. After climbing by a stream and wood the path's gradient eases slightly as it traverses South West. Beyond Glencoe village Loch Leven reflects the hillsides. 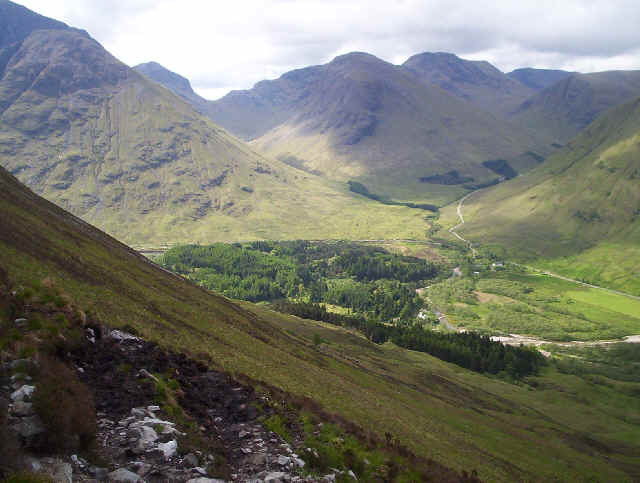 Another view of Glen Coe as the path climbs higher. 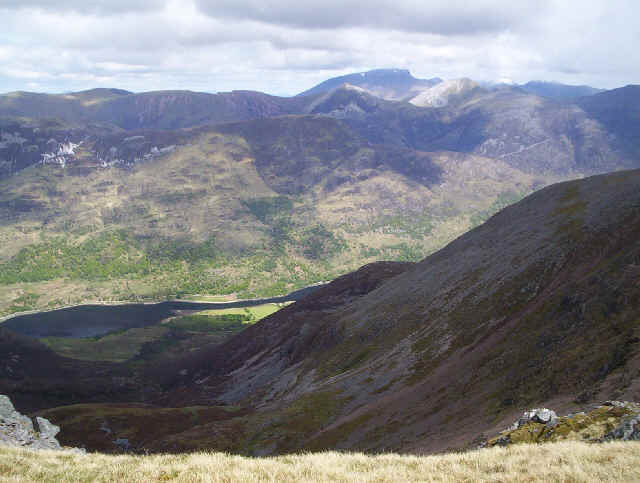 The sharp bend in the A82 can be seen here as the glen abruptly changes direction with the Fionn Ghleann glen beyond. 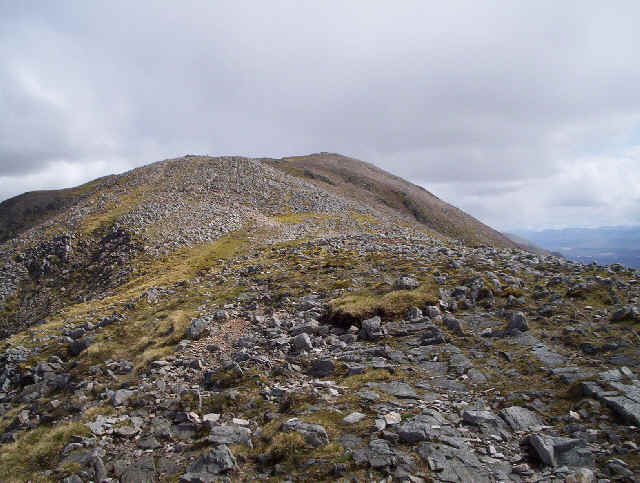 The path to Sgorr nam Fiannaidh leaves that to the Pap of Glencoe and becomes increasingly stony and in places almost disappears. 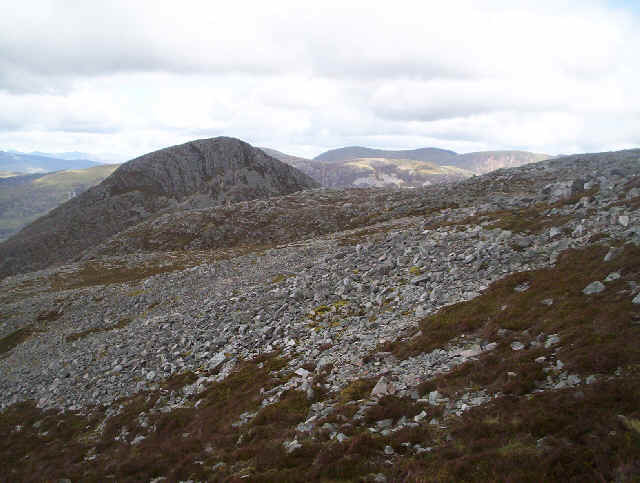 Eventually the crest of the ridge is reached and it's a relatively gentle uphill walk to the summit.. 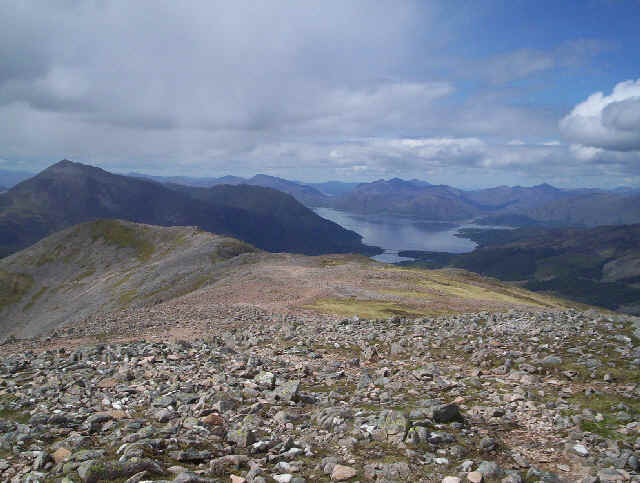 Looking down into Loch Leven with Ben Nevis and the Mamores in view. 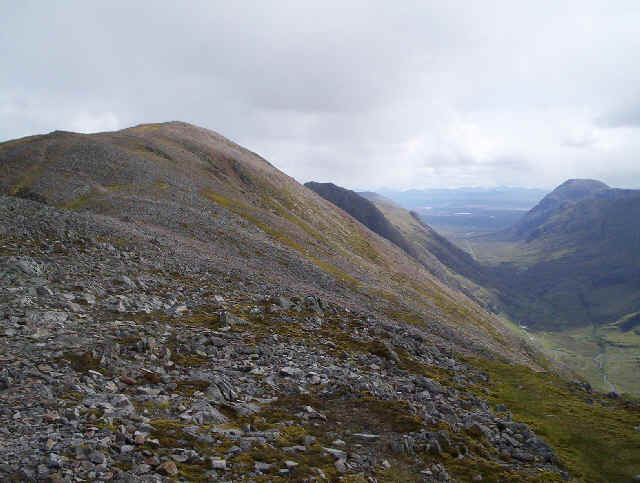 On the ridge leading to the summit, with Glen Coe far below. 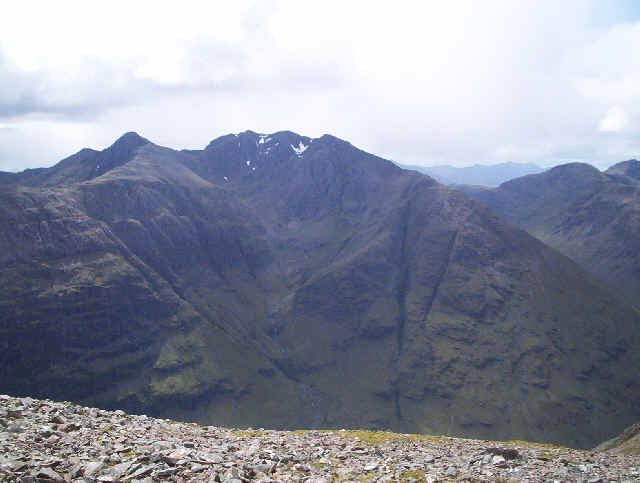 .....or across Glen Coe to Bidena nam Bian's spectacular corries. And then the summit is reached at 967m. 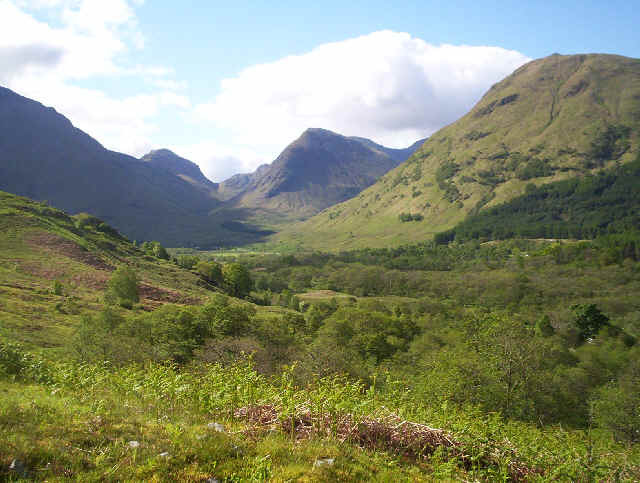 Remember that Glencoe village is virtually at sea level so the climb is over 900m. The view onwards across the Aonach Eagach ridge is spectacular and this photo is probably my favourite of all the ones I've taken in the mountains. However, this is as far as we were going. I leave the ridge to heroes! I was tempted to go on a little further to the next summit at Stob Coire Leith which looks easy but the day's objective had been reached so enough was enough. 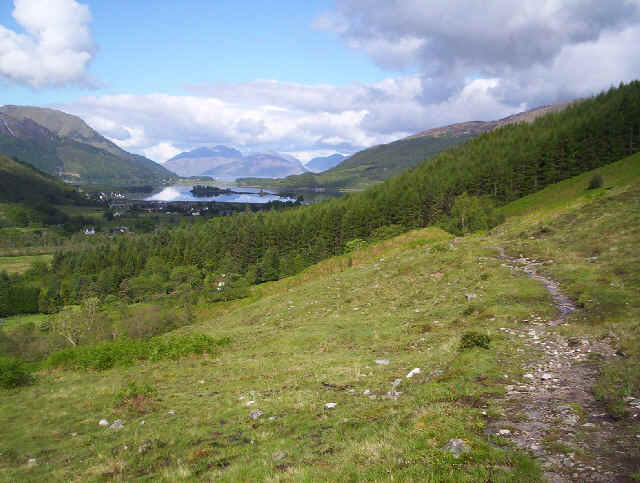 From Glencoe village the walk had taken exactly three hours. The return to Glencoe was a delight, with all the hard work done, and the spectacular views down Loch Leven. In the photo the long west ridge stretches out in front.